What is Marriage Week USA? in America, "Marriage Week USA" in Feb 2002 by co-chairs, Brent Barlow and Diane Sollee. a great organizing tool. Gives you a focus - a reason to call a meeting. Distribute Marriage Week ideas and get your group to pick the ones they want to implement. broadcasts for sharing and posting. – brainstorm ideas for revitalizing Black marriages. low-income, unmarried and married couples in marriage education. Marriage & Family Wellness: Corporate America’s Business? say they need and how marriage educators can deliver. to qualify for government and private foundation marriage money. skills to inmates and how to sell this idea to local officials. strategic plan, choose your targets, hone your message, create perpetuity. community. Come prepared to share. access to local marriage programs. Includes FREE templates and instructions. Bulk as low as 50¢ a copy. for creating your web-based Community Marriage Resource Center. parents of teens; stepfamilies; empty-nesters; couples on the brink of divorce. them - a contest, a TV hook-up from around the world, etc. vacation" that week if that's what it takes. Get this idea to the media. - Celebrate your own marriage. Celebrate your own wedding anniversary! smartmarriages.com for books and classes. - Create a "Ten Most Affordable (or most romantic, or most creative) Marriage Dates"
on Marriage - not just any old date, but ideas for the best Marriage Dates. and the Directory for resources. ancestors or one of local, state or national significance. Week. See http://www.marriagesavers.org to get started. Marriage Quiz -" Of the Day" for the full week. Send them the material! - Celebrate couples who have reached marriage milestones - 25, 40, 50. etc.. Marriage Week USA in their sermons and services. Day. Ask employers to hold a marriage seminars or brown bag lunches. helping them create strong, healthy marriages for the future. customs and traditions. Show the video "Marriage: Just a Piece of Paper?" and use the discussion guide. The Story of Us, and Family Man. Use the study guide on the web site for "The Story of Us." - Ask local stations to run Public Service Announcements about marriage. Let's put Marriage Week USA on the map. Springfield, MO to celebrate Marriage Month. also running as a half-page ad in the Orange County edition of the "Christian Examiner" in both May and June. and baseball, this is a big deal. There will be approximately 14,000 people in attendance. This will give us a chance to bring attention to the joys of marriage to Sacramento. A time to celebrate! > to re-list every week as the ads automatically expire at the week's end. > reviews; our couples spontaneously wrote them. Saw your message regarding marketing on Craig's list. Thought I would let you know what we're doing in Michigan. I researched several websites for brides after noticing that women were using the on-line organizing systems. I found two sites worth taking a look at, TheKnot.com and the WeddingBee.com. Neither site had links for marriage prep or classes --looked like an opportunity to me. showed that there were 10,000 women in Detroit, 36,000 in Wayne Co. using this site to plan their wedding. These are registered women on this site. 4) You can geographically target your message - just buy the region you're trying to reach. I'll let you know what we learn after we reach 30 days. Seems this ought to be a National buy if we see any results in Detroit. skills work with teens (or really anyone) available from The Dibble Fund. $49.95 for the set or only $14.95 per poster. where you see the FTF info on these pamphlets. 10 tips for couples preparing for marriage. 3 panels. together or who are living together. 4 panels. First Things First at 423-267-5383.
written and/or electronic format AT NO COST. Persistence, Time-Out, Affection, Agape, Prayer, Service, and Appreciation. pamphlet can be customized with your contact information. of distribution. OR, request the full color files if you plan to customize them yourself. from the NHMI for 18¢ per copy. Call 866-818-5530.
relationship and 87% taught the information to others! My husband and I went to the movies on "our" date night to see Tyler Perry's "Why Did I Get Married." So many couples and singles were there early, eating popcorn and watching local advertisements. Would recommend that local community marriage grantees consider advertising (for general awareness as well as recruitment) and having it run in the theaters especially preceding this particular movie. It's probably best to do ads when the movie is first released in theaters but check with the local theater advertising rep regarding projected attendance rate in 2nd and 3rd week. We've produced 3 awareness campaigns - and we will be using "The Best Gift You Can Give A Child is a Healthy Marriage" campaign in TV Commercials, billboard, print, radio spots. This will also be great for upcoming Christmas movie releases. Just a suggestion. 30-second spot about the dangers of living together before marriage. Things First - a series created to strengthen marriage in their community. info for your Community Healthy Marriage Initiative, agency or organization. counterpart (see last item in this post) - to help. more information contact First Things First at 423/267-5383. for couples with children. The second one discourages infidelity. on the page "Catch" with a dry eye. great for training. The title of the segment is "The Delinquents"
and it can be ordered from 60 minutes for 29.95 plus s+h. Here are ideas/schedules from around the country. Send yours to share. Include pdfs/urls whenever possible. Pinellas Park, FL, January 26, 2010 — Family Resources’ You&Me.WE celebrates National Marriage Week February 7 - 14 with a series of events open to all couples. You&Me.WE recognizes the value of healthy relationships for life and has created opportunities for couples to enjoy a series of free date nights. In addition, a fabulous Sexuality and Intimacy Retreat provides couples with a get-away weekend for Valentine’s Day at a bargain rate of $275 per couple for a one night stay at the Innisbrook Resort & Golf Club, two breakfasts, a banquet and all materials. All couples will enjoy this free date night with their sweethearts. Directed by Rob Reiner this 1999 R-rated romantic comedy explores the relationship of Ben and Katie Jordan, a couple who have been married for 15 years. The disillusioned couple is on the brink of separation in this incisive look at the good, the bad, and the ugly of the unholy state of matrimony. There is no charge for the movie. Sweets and adult beverages will be available for purchase by donation to the Studio@620. Author Joe Cuenco will read excerpts from this recent release, the story of his journey to discover the secrets of marriage through his conversations with 100 happily married couples. Several interviewed couples will also speak. Books will be available for sale and signing. Stroll the Village, listen to music and watch the film for free. Bring your own blanket and chairs for a night under the stars. Family Resources and You&Me.WE have partnered with the Village of the Arts and the City of Bradenton to offer a family fun evening. Learn the art of pillow talk, create more sparks in the bedroom, regain or deepen your connection and restore playfulness in your relationship. Priced at $275 per couple for the hotel room, two breakfasts, a banquet dinner, all instruction and materials. Details available at www.youandmewe.org. You&Me.WE engages in this work because research has shown a clear connection between couples in healthy relationships and the overall health of communities. Adults in healthy relationships have better physical, emotional, social and financial health. Children also benefit from growing up in two parent families where there is respect, communication and healthy conflict resolution. Children of couples in strong, healthy, stable relationships tend to complete more of their education; are less likely to get involved with crime or drugs; and enjoy improved health. In short, healthy relationships contribute to healthier communities which generally have less crime, higher high school graduation rates and a reduced reliance upon social services. Valentine's Day this year and take things to a whole new level of happiness? teaching hundreds of couples. Call 703-476-5644 for details. Watch the coverage of this event in Texas. Bravo to HARP. around was getting just ONE HS social worker to Smart Marriages last summer..
the second and third, and expect 18 couples tomorrow night! help with child care and set-up. The Utah Healthy Marriage Initiative will be holding five conferences, a training seminar, Extraordinary Marriage Awards, and will fly our bright red street banners for Marriage Week USA. Dr. John Van Epp will be coming to Salt Lake to conduct our 7th annual training seminar for counselors, therapists, mediators, faith leaders, and family life educators. Later that evening, he will be the keynote speaker following our annual Extraordinary Marriage Awards. I'm excited to have found a perky couple married 80 years! EIGHTY! And they are coming to the awards. Our governor and first lady will sign the award certificates. In addition to the "No Jerks" events in Salt Lake, we have local coalition conferences scheduled in four other cities. We've posted everything on www.utahmarriage.org . We'll also announce the launch of a new media campaign. Here's a Marriage Week Celebration from Orange County. Now is the time to be getting out your invitations. Send yours and I'll share your ideas with the list and also post them on the Marriage Week ideas website. Remember to find a way to fill them with hope for the couples who are struggling......throw out a lifeline. We need Marriage Education resources to be available to the 500 to 600 people we're expecting to attend. We'll have 10 to 15 booths available for $150 each and sponsorship opportunities will be available on a first-come-first-served basis. Sponsors and Resource contributors will be listed in the event program with their information. Various healthy relationships skills classes for singles and couples. > opportunities around Dayton, in celebration of Marriage Week. > sweetheart to courthouse square and kiss at noon. > and Fran Battle. Free to attend. * A group in Minneapolis is giving out Checkup voucher codes as part of a six-week relationship education series. * A group in Texas is mailing over 30,000 households advertising the Couple Checkup on their website and the relationship series that will follow throughout Marriage Week. > couples evaluate and improve their relationships. > check ups," he says. > issues that might be cause for concern. > they're not the only people living with adjustments, their mood is lifted,"
> behaviors and avoiding destructive behaviors. > that help couples set goals for improvement. You change the oil in your car every 3,000 to 5,000 miles and you have regular dental checkups; but how often do you evaluate or "check on" your marriage? Licensed marriage and family therapist Mary Ellen Connett contends not often enough. "If you don't water a plant, it will die," she points out. "The same is true for marriage. There are serious consequences for neglecting a relationship." In the early 1990s, The Georgia Association of Marriage and Family Therapy recommended couples get an annual marriage checkup. Connett is suggesting that Valentine's Day is a good time to do that. "What better way to express your love and concern?" she asks. University of Washington researchers found they could predict if a couple would stay together based on a number of indicators. The project, conducted by professor emeritus John Gottman, Ph.D., followed couples over a 7 to 9 year period and could predict with 87 percent accuracy, which marriages would stay together, and which ones would dissolve. Gottman has developed indicators of why marriages succeed or fail that Connett subscribes to. One of the most important she believes is the "rule of five." "It takes five positive interactions to counteract the damage of one negative interaction, such as blame or criticism," she relates. There are many ways to show positivity according to Gottman. They include: showing interest, being affectionate, showing you care, being appreciative, showing concern, being empathetic and being accepting. While the balance between negativity and positivity seems to be one of the main factors in a successful marriage, there are also four predictors for failure: criticism, contempt, defensiveness and stonewalling, or the complete cutoff of the other person. Gottman writes in his book "Why Marriages Succeed or Fail," that long-term marriages contain an abundance of love and respect. Connett suggests a self-quiz that can help you determine if these fundamentals are present in your relationship. AND RESPECT IN YOUR MARRIAGE? The following quiz developed by John Gottman and adapted by Mary Ellen Connett, is to be taken by you and your spouse. Answer "yes" or "no" to each statement based on whether you mostly agree or disagree. 1. My spouse seeks out my opinions. 2. My spouse cares about my feelings. 3. We are affectionate toward one another. 4. We listen to each other. 5. What I say counts. 6. I love spending time with my partner. 7. We are very good friends. 8. My spouse finds me physically attractive. 9. I feel included in my partner's life. 10. We touch each other a lot. 11. We respect each other's ideas. 12. Even during tough times we can be empathetic. Scoring: If you checked "yes" to fewer than 4 items, then you may not feel enough love and respect in your marriage and you may want to seek a check up. Professionals point out that the average couple waits six years before seeking help for marital problems; so they often live with unhappiness for far too long. Connett says marital relationships can definitely improve. She likens it to an illness; if the problems are ignored, they will get worse. If both partners are committed, they can work towards changing their relationship for the better. The State of Indiana will join the celebration for National Marriage Week. Builders declaring Feb 7-14th as Community Marriage Week in Indiana. of blessings for couples, and other creative ways to celebrate. and a gift for each couple. The Lifetime Marriage Achievement Award will be presented. classes offered each month in each county. couples of all ages in all stages of marriage. > school youth groups, church groups, etc. > 8th graders using a Love U2 lesson. > "The Secret to Our Success"
> you hope to emulate later in life. > 1. How old were you when you were married? > 2. At that time, what image did you have of married life? > 3. Has it turned out as you expected? What, if anything, has been different? > 4. What is the most difficult or challenging part of being married? > 5. What is the best part? > 6. Do you have any specific advice about loving well? > believe are especially valuable in understanding love? Why? > "Here Comes the Bride...and Groom!" > Best wishes and good luck! > etc. that they plan and implement (with adult guidance and support)? "Is 'falling in love' the basis for a lasting relationship?" "Is living together the same as marriage?" "Does living together prepare you for marriage?" ask, "Is there any advantage to being a virgin before marriage?" > You've given your partner flowers every year. You take them out to dinner. > You choose the most fabulous card. What can you do to make it more special? > nominated couples who exemplify the proven attributes of a healthy marriage. > Many of you are already underway with ideas and plans for Marriage Week--Feb.
> space with human interest stories and resources. > it also becomes an important addition to your website--a win/win all around. > <http://www.smartmarriages.com> Then click on "Marriage Week Celebrations"
> benefit from exposure to your work and the work itself will be empowered. messages" that will intrigue. 4-word limit. Find the good. Praise it. > of Feb. 15, 16, and 17, 2007!! > Van Epp: speaks at Belmont Abbey College, Belmont, NC. > Van Epp: meets with Gaston County clergy. > Van Epp: Book signing for "How to Avoid Marrying a Jerk (Jerkette)"
> Van Epp: Keynote speaker for our Marriage First dinner banquet. > Marrying a Jerk and Marriage LINKS) to provide marriage enrichment events. > commitment to helping couples. get off your sofa to become a Valentine's Day hero to the love of your life. learn when and where "date-night" meetings will take place in weeks to come. their marriages to last a lifetime. Of course, today's marriages don't always meet these "old-fashioned"
Valentine's Day gift, building a creative love life. and that this didn't involve attending a professional wrestling match. can even pretend it was all your own idea. I'll never tell. - GOVERNOR BRAD HENRY PROCLAIMS "OKLAHOMA MARRIAGE WEEK"
many Oklahomans’ thoughts are turning to love, relationships and marriage. component of strong families and communities. couples who are married, engaged or considering marriage. an added advantage for engaged couples who attend and complete the workshop. or call toll free (877) 435-8033. > Week, we will host our 14th Annual Renewal of Marriage Vows at our church. > will be available for couples to renew them in 31 different Languages! > Babysitting will be available after Mass for a Date Night for couples. > author of "Men are Like Waffles, Women Are Like Spaghetti." > ouple takes home a gift. > author & presenter) on "LOVEWORKS: Coming to Terms with Intimacy & Equality"
> Alive in Your Marriage After Your Baby is Born." that the medical profession has a very high rate of divorce. We also invited physicians who are already in practice. medical society members paid $50 a couple, and $75 for non-member physicians. provided on site. We had close to 100 attendees. They LOVED Wayne and Mary!!! gingerly held his wife's hand, while Sonya looked lovingly at her husband. 36-year-old human-resource professional specializing in conflict resolution. it seemed like a good idea to focus on each other." problems along the way," said Sonya. the Aurora Family Therapy Centre located in the University of Winnipeg. like getting your car tuned up, only this is your relationship." and Feb. 19, which can be made by calling 799-0860.
about one hour and is held in the privacy of the therapist's office. "We've made it a ritual of starting the day off with a hug," said Sonya. "Otherwise it's easy to forget to take a few minutes and say good morning." > and the book "Love Talks". $45 as a fund-raiser. We're excited! > - 14 and our website. It is getting quite the response around town. > provide activities for couples. "BABYSITTER WANTED. 24 hours a day. 7 days a week. 18 years straight. > Just a note to let you know that Utah is ready for Marriage Week USA! > good feedback, made some good connections, and we'll try it again! > Our 13th Annual Celebration of Marriage will be held this Saturday. > Marriage" couples with a certificate and a singing valentine group. an anniversary mass and renewal of vows and reception. around town: "It Takes Work To Build A Good Marriage. Things First, Chattanooga - our guest speaker. of marriage on the community. hall) complete with catered dinner, a "marriage"
on "Celebrating Marriage In Your Community". working on a series of articles in the local newspaper. for celebrating and announces our second annual "Downtown Dream Date." expectant couples. Invitations will be mailed in the next few days. classes and training opportunities will be distributed. Every member of Ozarks Marriage Matters has another job, including me. encouragement you offer. You are making a difference. 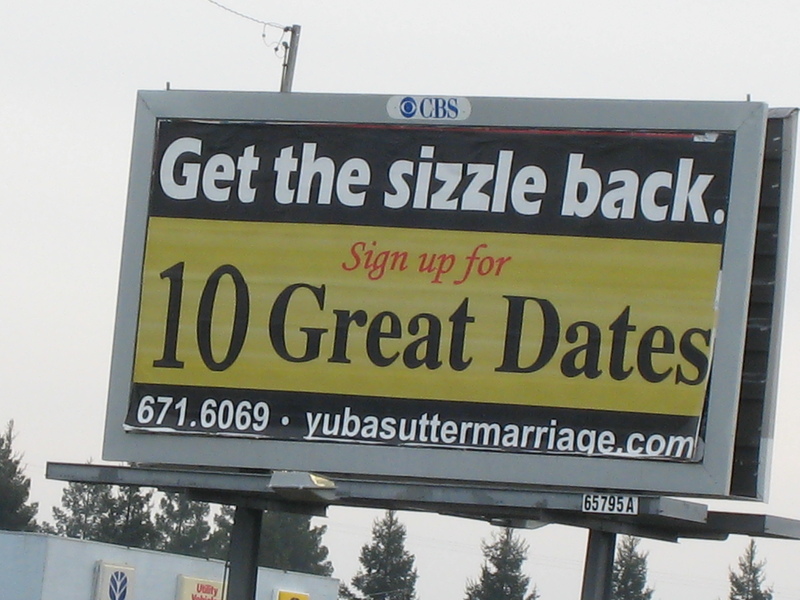 Fresno and the Central Valley continues to expand the marriage movement. this is not the true divorce rate but these figures are still alarming). to mentor premarital couples, struggling marriages, and stepfamilies. topic of marriage and family. February 10 - Public signing by 100 pastors of the Community Marriage Policy. We are hoping for 1,000 lay people to be in attendance. February 12 - "Becoming Soulmates" marriage seminar with Drs. Les & Leslie Parrott. topic of marriage and/or stepfamilies. special speaker Dr. Neil Anderson, author of the Christ-Centered Marriage. couples on marriage enrichment with an introduction to marriage mentoring. In May we have another Lead Mentor Training scheduled. June 10-11 we have Ron Deal coming for a Stepfamily Conference. 11:30 am on "How Churches can Support and Nurture Empty-Nest Marriages." dedicated to marriage education, enrichment, and strengthening resources. Feb. 1 - Press conference with the mayor proclaiming February as Community Marriage Month. Ministers Alliance (primarily African-American pastors) Presented by Community Marriage Builders. is taking their married couples for a Fri evening overnight to a nearby town. at one of the Catholic churches. Program presented by Community Marriage Builders. *Feb 18-19 PAIRS Couples Workshop Feb 18/19 in Church Hill. COMCAST to air 30 Second PSA Spots. available; call to host an event at your congregation. *Jewish Family Services will host:: "Achieving Emotional Intimacy"
relationships. We provide suggested materials for teens, parents and staff. - Honor longest marriages in communities and congregations. - Smoothest Marriage Essay Contest and Prizes. - UTAH DOES "MARRIAGE WEEK USA"
are doing in Utah this year. couples receive a certificate signed by Governor and Mrs. Leavitt. honoring them and Dr. Barlow, the commission chair, will attend. 3. February 7th: We will kick off Marriage week at the Governor's Mansion. year and another from this year. And, of course, we'll invite the media. read: "Celebrate! Marriage Week USA Feb 7-14"
couple of registrations from out of state. conference will run from 5 to 11 p.m. at the Salt Palace Convention Center. speaker and then we have a live concert by a local group, "Eclipse." oh-so-timely, is the February 9th broadcast of Music & The Spoken Word. launch, conference and exhibition which begins today. to cover the entire Marriage and Relationship support budget. spent on family breakdown only £1 is spent trying to keep families together"
stigmatising other forms of family. essential institution for building strong and safe communities". role of marriage in building strong communities. unambiguously pro marriage projects in both middle class and deprived areas. offer them strategies to help them avoid unnecessary breakdown". and learn to love each other even more". Make the opportunity to celebrate your marriage in a special way every day. Also make the time to celebrate with others during Marriage Week USA - Feb.
cost is $30 per couple. See attached registration. Invite some friends. 7:30 pm to 9:15 pm. Renewal are due by Feb. 3, 2003.
list of recommended marriage-strengthening books. Take your spouse out on a date. be, read "The Second Half of Marriage" by David and Claudia Arp. you navigate the trials that step-family marriages face. years. Write them a letter of appreciation for their commitment and example. you know that was married this past year. If you have a healthy marriage, offer to mentor a younger married couple. On the Sunday during Marriage Week (Feb. 9th) give a message on marriage. (20, 40, 50 years and higher). of a movement for marriage. engaged and seriously dating couples in your congregation. week for the couples they work with. Put on a potluck dinner for all of the married couples in your church. singles ministries during the week. well as for God's guidance during their current season of life. and other communication pieces during the week. offering an evening of childcare for married couples in the church. Ask your town's mayor to make a declaration for Northwest Marriage Week. to reaffirm your unified commitment to uphold marriage. 425-869-4008 or by email at wade@xxxxxxxxxxxxxxxxxxxxx for more information. Write an op-ed for your local newspaper about the importance of marriage. Many of you shared your Bridal Show experiences. > funding, volunteers, creating buy-in – and how to avoid the stumbling blocks. package worth $150; not everyone follows up and goes through the program. We've been at this for over 5 years-maybe we're beginning to make a dent. information. We just have to keep paddling! Hello! I contacted bridal show sponsors and offered to give four free 30-minute segments about relationships in exchange for waiving the fee to have a booth. The person loved the idea, so she gave me a booth and handled all of the signage. I provided the handouts with topics that included Keys to a Lasting Marriage, Communication, Conflict Resolution and Re-marriage. It was great exposure and a fun atmosphere. I'd be happy to share more - cg@Relationships4Life.com. You are probably getting lots of responses about Bridal Shower and Wedding Gift ideas. * We are listed on Here Comes the Guide : You Planned For Your Wedding. Did you Plan For Your Marriage? * We have a Gift Certificate page on our website, and we have people purchase Marriage Prep 101 Workshop gift certificates often. * Of course, The First Dance reaches out to brides and couples as well. In terms of Elizabeth Gilbert's Committed book, let's not underestimate her appeal. Her first book, Eat Pray Love, will soon be a movie starring Julia Roberts, and many, many people will be reading her new latest offering. I picked up my copy yesterday, and will try to read it in time to join the conversation! Similarly I felt disappointed when the Julie Powell, the author of Julia and Julia came out with her follow up book, Cleaving, where both she and her husband talk about their infidelities. Oy Vey. In response to the posting about bridal shows, the answer is YES. All over Texas marriage education providers have been a very present entity at local bridal shows. One group, Lakeside Relationship Services saw the importance so much that they started their own - The Lakeside Bridal Fair and are hosting the 3rd show next month. At the show, Marriage Educators are there in great numbers and every bride receives information about upcoming workshops, classes and providers in the area. From the stage we promote classes more than we promote the wedding services. All of our vendors love doing the show because of the message. Many of the vendors give extra discount to couples who take the class through the Texas Hitchin Post as well. We approach the couples with this mantra: "You might not need this now, but when you do, we are here to help." We tell them to not be afraid to call for help when the going gets tough. Many of the couples are so intrigued by this approach that they sign up for the pre-marital education classes that are available throughout our area. Many bridal vendors get involved in helping spread the message about marriage education. If anyone wants tips on how to start their own show in their area, tell them to call Lakeside Relationship Services and the KCC Foundation - Lynette Coughlin at 972-989-2474.
door prizes. 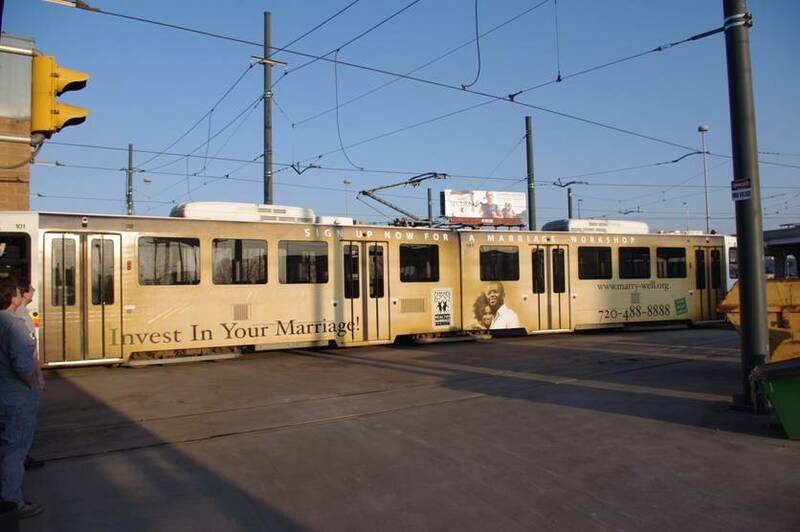 About 1/3 to 1/2 actually signed up and those who "won"
Executive Director, Marriage Investors, Inc. (317)308-9889.